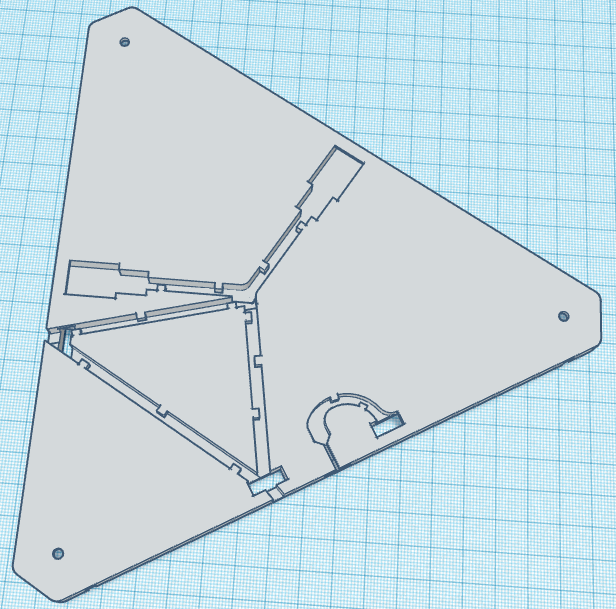 Starting my planning for my moodlite build, but after looking at the way the bases are designed, how would one go about doing a pattern with panels surrounding all three sides? That is to say, where there isn't an obvious serial path (like the center panel below). There doesn't seem to be any space to double wires back through other panels, especially if you're running with the servo wires. Has anyone made any modifications to suit such layouts? This isn't the pattern I'm going to be doing, just an example. 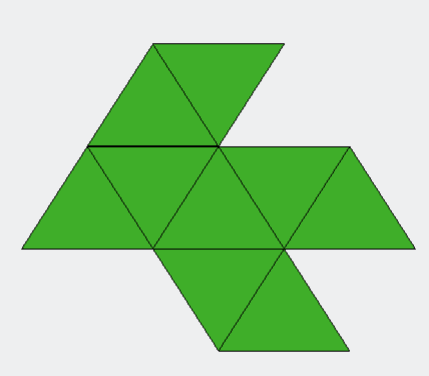 Re: How to do triangle patterns with three edges? This is something I have been looking into myself,it would need a fair bit of modification. Each side would need to have an "in" port and an "out" port, and you'd further need a wired cap that can go from the "out" port back to the "in" port on the same edge. I've been tinkering with the design in Fusion 360, but haven't gotten anywhere meaningful with it. I put some thoughts in that and did a redesign of the bottom part to achieve this in an easy way. I have to try this first but when this worked out I'll post the STL of course. That was my idea. I modified the bottom part to route a cable through when connecting three tiles to a tiles. I haven't had time to print one for testing, yet. As soon as I did I will make the STL available to all of you. This way I can use the original ways to cable everything but when I need a third connection I can achieve this by adding another cable. I printed one of those yesterday and plan to wire it up today while another one prints. Having a hard time visualizing how you're using this wire configuration to go out and back in on one edge (in order to wire all LEDs in series). Have you had any luck with this yet? I didn't find time to do the cabling, yet. Will keep you informed as soon as I have done this. My visualization here is that the 3 tiles involved would need to be printed like this. The central tile would obviously need it for routing, one end tile (#7 in the diagram above) would need this to align its output wire with the central tile's slot. Then the last tile in the series (#8) would need it as the entrance for wiring. You'd probably do the connection within the body of tiles 7 & 8 unless you made two more designs, thus having 3 separate designs - one for tile 6, one for 7 and one for 8. Trying to do this for a more complicated branch - like a giant Y shape with multiple panels on each branch - would be a mess to say the least. Hope that helps to imagine how my thoughts went.